There's a reason this reboot of the bloated Resident Evil franchise earned such a prominent spot on our most anticipated horror games of 2017. 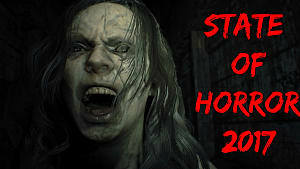 Now that it's finally here, Capcom is kicking the year off with a serious bang (or perhaps more appropriately, a serious scream). 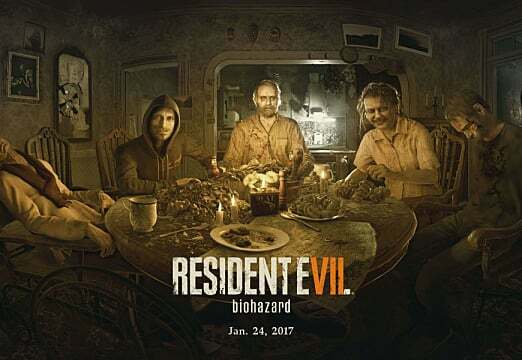 It seems like this is going to be the year of horror, and Resident Evil 7: Biohazard is a strong return for this series that needed a drastic change of pace. Sadly its not coming to the Switch, but Xbox/PS4/PC players are in for a real treat as we switch from third person action to first person survival horror -- and its the first time that genre tag legitimately applied to the series in many years. 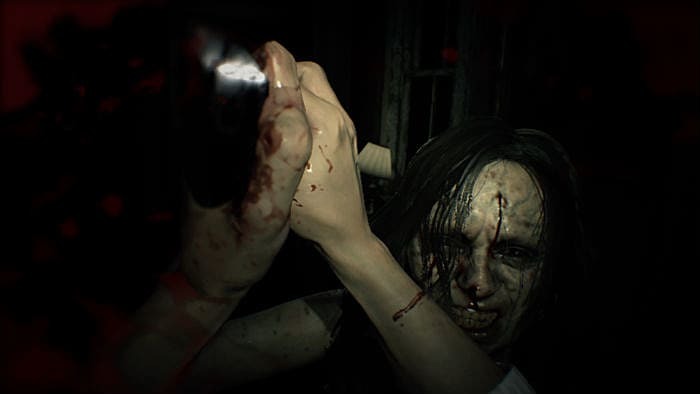 Seeing where the genre has been going lately, Capcom is clearly pulling from the defenseless horror style -- Amnesia, Outlast, SOMA, Layers Of Fear, etc. -- although this time around you do eventually get to fight back, and that's going to strongly appeal to the crowd that didn't like those games. Where RE7 succeeds in bridging the gap between the two ideas is the nice, long build up before getting to anything combat related. There's enough time devoted to building up a sense of dread and overall "wrongness" to the environments to create a sense of complete immersion before ever picking up that axe or grabbing a gun. You will be sufficiently creeped out while Ethan searches a swamp hillbilly home far off the beaten path to find his missing wife Mia. 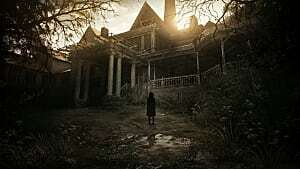 Overall, I found the horror vibe much more believable and chilling than in the RE spiritual successor The Evil Within. 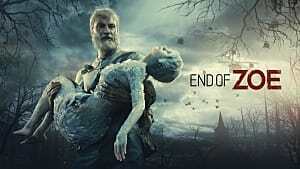 The immersion front is where this game succeeds strongly over its predecessors, with a stifling sense of claustrophobia as you crawl through a dilapidated mansion, And the sound effects are absolutely spot-on. 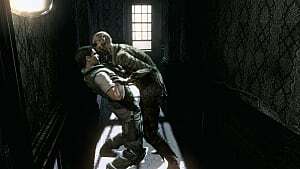 While the first person mechanic is very clearly meant to evoke games like Outlast, there are abundant nods in the gameplay design to classic early Resident Evil and Silent Hill titles. Thankfully for those who get nauseated by the first person view in horror games, there's the ability to turn “wobbly camera mode” off. 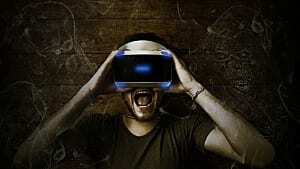 Plenty of interesting twists are presented throughout this first person horror experience. Some of these pull from various movies, including a fabulous VHS tape mechanic I wasn't expecting at all and a scene that's straight out of the Evil Dead remake. When dealing with a backwoods hillbilly family in a run down old mansion, of course you're going to think of Texas Chainsaw Massacre as well. 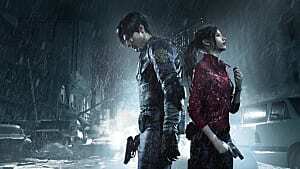 While the atmosphere and immersion are mostly spot-on and the switch to first person makes the horror more personal, I have to admit I really waffled between a 7 and 8 rating for this re-thought Resident Evil iteration. 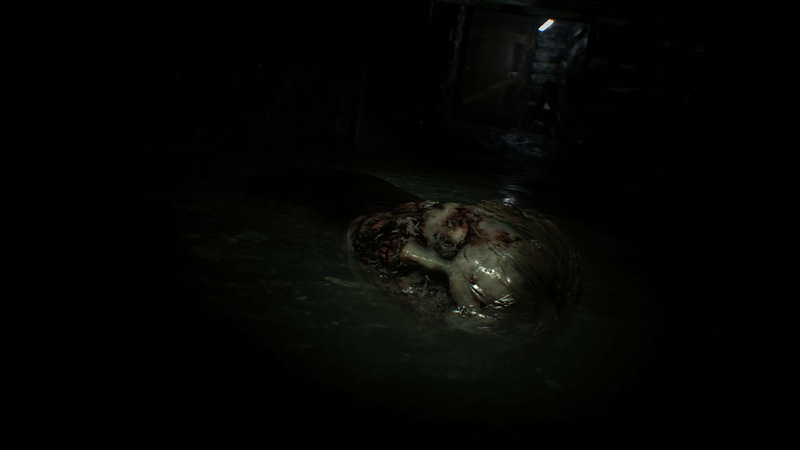 RE7 is a great game and a much-needed shakeup for the series, make no mistake about that. But there are several things that drag it down and keep it from achieving perfection. Most noticeably, Ethan's reactions while exploring the game world are sort of bizarre. He screams a long, sustained amount of profanities when a cockroach crawls across on his hand, but when a maggot-covered corpse pops out of the water next to him there's literally no reaction of any kind. For an everyday Joe and non-STARS member, Ethan is also oddly calm about all the strange things going on around him and doesn't really have much of a reaction when his wife goes psycho and stabs him repeatedly. I saw a cockroach once, so this is nothing. Another issue is in the constrained nature of the game world. The outside areas in particular really draw attention to this fact, with obvious invisible walls to areas you can't pass giving off an on-rails feel. Thankfully the inside segments are handled much better, and Capcom did an excellent job making that abandoned mansion feel real, with lots of escape routes in a seemingly small space. Capcom did an excellent job making that abandoned mansion feel real, with lots of escape routes in a seemingly-small space. 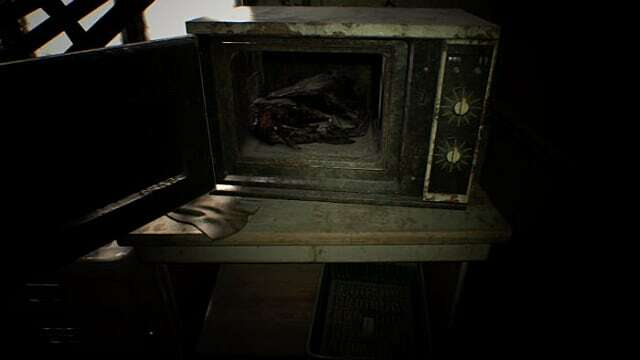 Because there are such strong ties to the aforementioned other games in this style, there are a few elements missing that really stick out and again draw attention to the very stripped-down nature of RE7. For instance, in SOMA you can pretty much pick up and play with any object at all found in the game world – including a ton that you don't need to use in any way – but here the opposite is true and there's much less to interact with. In a creepy abandoned old house littered with clues, it seems like you'd want to flip over that overturned painting to see what's been drawn there...but no such luck, as the "press A" symbol doesn't appear. That conspicuous closed box sitting right next to a functioning VHS player seems like a great place to rummage through to find a tape to watch, but nope, it's just window dressing. You can look in the microwave for some reason though. 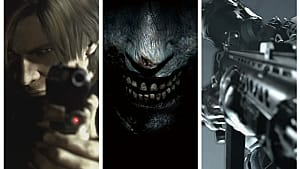 While many of the nods to earlier Resident Evil titles will be welcome additions for genre fans, some of the connections to the previous entries in tone and style don't fit as well. In particular, boss fights sort of break the game, since they leave behind the more down-to-earth realism and take us into action mode where you unload clips of ammo into a giant monster. It's a gameplay mechanic that just doesn't fit this style at all. Using healing items to instantly repair terrible stab wounds is another odd design choice that doesn't quite match up what's happening in the game world. For instance, after having a knife shoved all the way through his palm in one early fight, Ethan just pours some "first aid juice" on his hand and from that point onward you no longer have a gaping stab wound. Using healing items to instantly repair terrible stab wounds is another odd design choice that doesn't quite match up what's happening in the game world. This does get explained a bit later on in the story, but at the beginning of the game its pretty ludicrous, and sadly immersion-breaking. Outside the mechanics, the lore of the RE universe also gets shoe horned in at the end and its not really clear why. Putting us in the same world as RE5 or RE6 sort of takes away from the fear, because frankly Umbrella Corps isn't scary. And in fictional worlds like this one, bio-weapons are less viscerally frightening than actual honest-to-Satan zombies or demonic creatures. 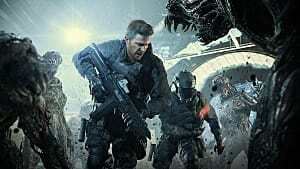 Despite those criticisms, there's no question Resident Evil 7 will be considered a benchmark of the series and a high point in the franchise going forward. 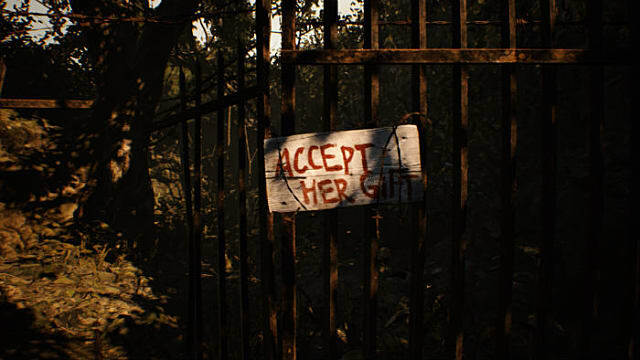 The backwoods swamps of Louisiana is a great change of setting, although the strong similarities to the upcoming Outlast 2 might put a damper on things for horror fans who have already played all these various games. 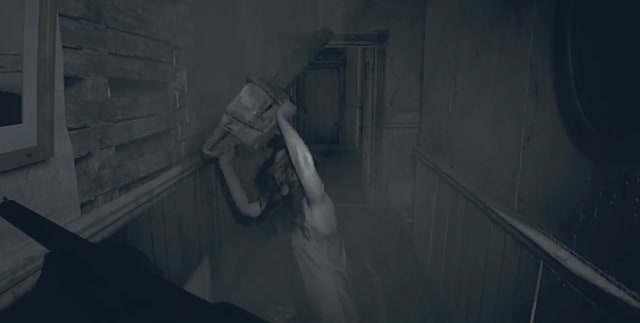 While I think Outlast 2 is probably going to end up being the superior game, there's no denying Resident Evil 7 does exactly what it sets out to do, and its a long-overdue change to see big name developers tackling this style that is usually reserved solely for the indie crowd. Sneak inside the mansion and come see what all the fuss is about! Want to ruin the whole game and find out how what's waiting at the bottom of the rabbit hole? Check out our endings guide here. 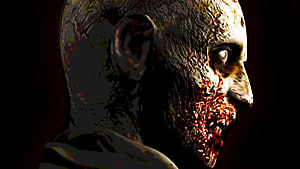 Yes, this is the Resident Evil experience you've been waiting for.